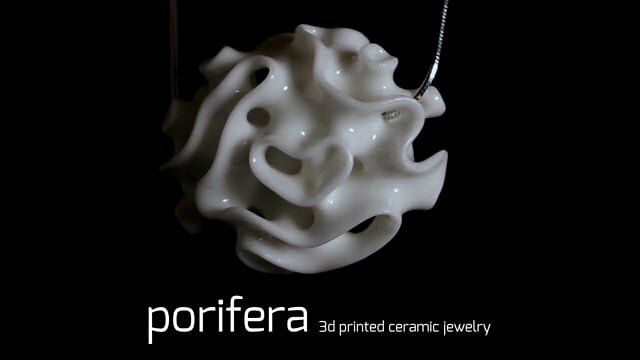 Porifera is a jewelry collection by Nervous System inspired by the forms of deep-sea glass sponges and made in a new 3D-printed ceramic material. It is the result of two years of material experiments and research in collaboration with Formlabs. 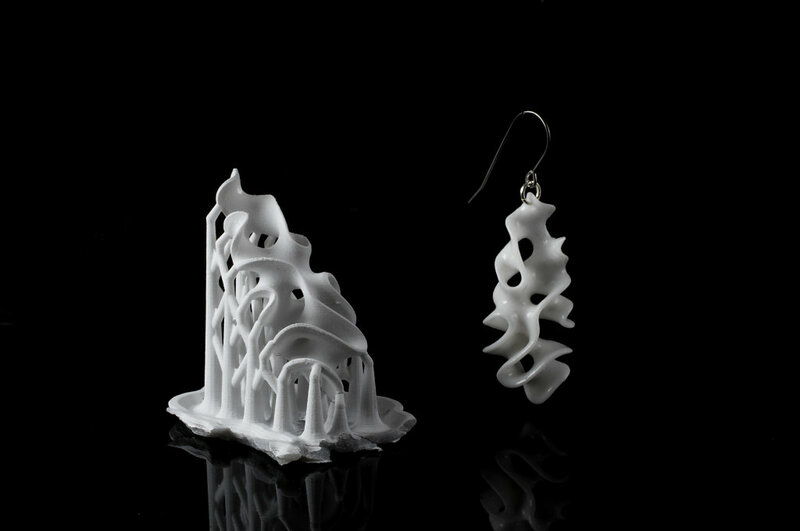 By combining new technologies and traditional crafts, ceramic 3D-printing lets us create intricate forms which cannot be manufactured by other methods. Each piece is finished by hand: sanded, glazed, and fired twice in a kiln up to 2340F, creating vitreous ceramic jewelry with a sumptuous glazed finish. 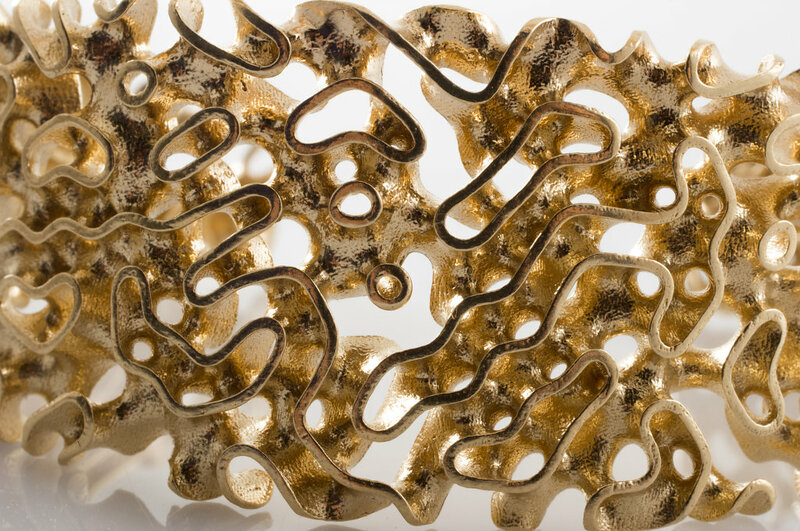 The sinuous, space-filling surfaces of the jewelry were inspired by the forms of glass sponges. Glass sponges build reefs with complex, porous architectures that are home to many species. Nervous System created custom software to computationally generate the designs. The software generates minimal surface networks along cellular scaffolds that adapt to different volumes and densities. The technique results in thin-walled 3D foams that can only be manufactured with 3D printing.